Boxing Gloves are a key part of the necessary equipment required for every boxers. At heavybagguide.com we are specialist in reviewing heavy bags and thought it makes sense to also answers your questions on boxing gloves and review the top seller boxing gloves you will be able to find online. Any questions do not hesitate to contact us via our contact form and we will be pleased to help you further. People looking to purchase a pair of gloves often have a hard time selecting which one to buy because there are too many to choose from. With numerous styles of gloves and many brands to choose from, picking the right one is always never easy. All boxing gloves generally look alike to the naked eye. Some may have prettier colours and others have more interesting design. But it’s not possible to tell from a distance what sets one apart from the others, much more tell which one is going to be the right one for you. That is, until you lace them up and start swinging. This method is expensive. If you don’t get the right one at first, you buy again. But this isn’t just costly on the pocket, it could be costly to your health. Bad gloves don’t just get uncomfortable with time. They will affect your from and at worse cause injuries. You don’t want that to happen. Instead, you want gloves that suit your fighting activity, feel comfortable, provide wrist support and prevent your digits from being damaged. To narrow down the search, potential buyers must learn about the different types of gloves and what they have to offer. Doing so makes the buying process much easier. Boxing gloves aren’t just fashion wear for boxers. They aren’t worn to make boxers look cool or not cool. They are there to protect the boxers themselves. The physical damage in boxing is two way. Punching can be damaging to the defender’s face ( or body ) just as it is to the attacker’s hands. Without boxing gloves, we could see a lot more broken or fractured hands since the bones in the hand are very short and aren’t built to withstand ramming into an object at great force. Boxing gloves fit around the hand and form a fist to protect the hand. They also provide protection to the back of the hand and to the fingers, especially the thumb. The padding reduces the intensity of the impact and improves the safety of the boxer. On the opposite corner, getting punched with boxing gloves is better than getting punched with a bare knuckle. Facial damage is unavoidable but gloves can minimise them and render those injuries less serious and superficial. Also, a boxing match with bare hands doesn’t just mean more cuts on the opponent’s face. It also leads to more possibility of getting eye pokes. Whether accidental or intentional, eye gouging is always dangerous. Boxing gloves can lessen these. Why are Boxing Gloves Red? In the visible spectrum of light, the colour red has the longest wavelength. As such it’s the least visible to the human eye compared to the other colours. So in a sport where punch stats matter and sometimes determine the winner of the contest, wearing the ‘least visible’ boxing gloves help fighters hit the opponents more. That’s the most logical explanation why the colour red is the traditional colour of boxing gloves. But while it’s the symbolic colour, it isn’t the only one allowed. Amateur boxers are allowed to use only red and blue boxing gloves during official bouts. As to what colour depends on which corner the boxer starts the fight from. Amateur boxing gloves also have a white band across the area of the knuckle. This white area is considered as the gloves’ scoring area. In professional boxing, it’s much more liberal. With the promoter generally having the responsibility of providing the boxers’ gloves ( unless stated in the fight contract ), we have since more boxing glove colours in recent memory. Mike Tyson almost always wore red gloves although he wore black ones in his last two bouts. He lost both. Roy Jones wore orange gloves against Joe Calzaghe. Manny Pacquiao wore yellow against Shane Mosley. Floyd Mayweather used to train with gold gloves and Miguel Cotto sparred with pink ones. Why Do Boxing Gloves Come in Different Weights? 8oz & 10oz – Generally used for competitive boxing. These gloves are smaller and don’t have much padding. Full contact with these means more damage. 12oz – Associated with training. The 12 oz is an appropriate choice for someone looking to buy an all-around training glove and are commonly by women or men with smaller hands. 14oz – Most common in training and are for average sized people. These are lighter than the 16oz hence they don’t tire your hands as much when you hit the pads. These can also be used in sparring by lighter people as the padding is adequate for them. 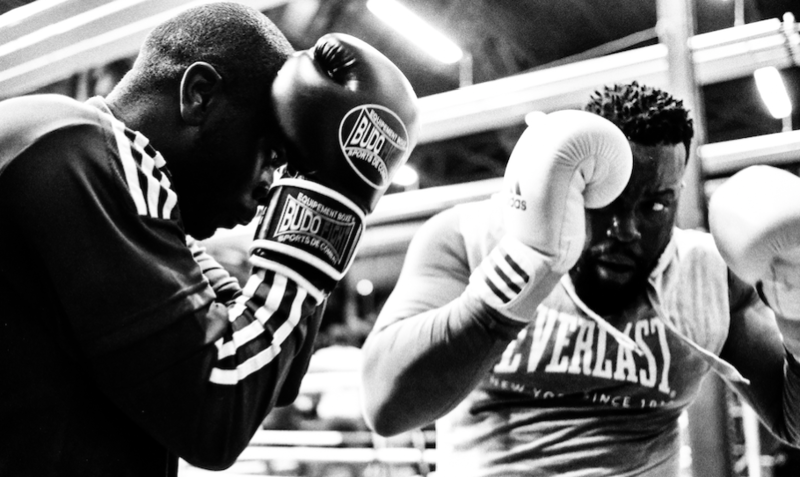 16oz – The standard for gym sparring, regardless of fighter size. The padding on this gloves is designed for your sparring partner’s safety. Hitting the pads with these is generally tiresome, but still very much acceptable. 18oz to 20oz – Specifically reserved for the bigger men in heavier weight classes. These are very padded and heavy. Only pick this size when buying for a large person. Or when you’re a very bigger man sparring with a smaller opponent. Where To Buy Boxing Gloves Online? Choosing which pair of gloves to buy is already a dilemma. Finding where to buy them is another. The buyer’s location may be far from sports stores or manufacturer’s stores but fortunately, one can buy boxing gloves online. Online buying not only saves time, energy and fuel, it also gives the buyer an opportunity to check on other options with just a couple of clicks on the computer. And yes, you can buy online 24 hours a day, 7 days a week. For some, free delivery is provided for a minimum amount. With these luxuries, it’s really easier to buy online. 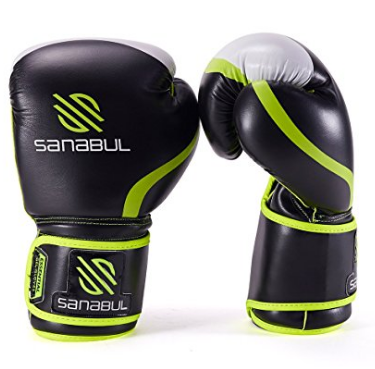 The Sanabul Essential GEL Boxing Kickboxing Training Gloves offer value for money without sacrificing protection. Designed for daily training needs, the Sanabul training gloves are made up of high quality and durable performance engineered leather which makes it easier to clean and maintain. The gloves have a gel infused foam to give you both comfort while training and protection from from hand injuries. The mesh palm improves breathability of the gloves and helps you cut down on sweating while keeping your hands cool and dry. With its Longitudinal Arch Design, the Sanabul training gloves fits the natural curve of the hand to ensure proper fist closure while striking. The Secure Velco Closure System on the gloves helps give a secure fit and makes it easier to put on or take off. Appearance may be a little too bulky for some people. Can be too tight around the knuckles with handwraps on. May not be able to hold up well during continuous heavy bag sessions. If you’re an MMA fan, you’re familiar with the Brand Venum. That’s right, these aren’t primarily gloves for the sport of boxing. In fact, the Venum Challenger 2.0 boxing gloves were designed and made in Thailand and were first ( and mostly ) used by Muay Thai fighters. 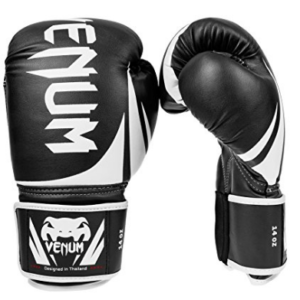 But with the Venum brand gaining popularity, these gloves have been used in boxing gyms for training ( and sparring for some ) because these gloves are well constructed. So if you’re just starting to learn striking, these gloves may be for you. The Venum Challenger 2.0 boxing gloves is constructed with PU Leather or bicast leather It’s made of polyurethane, a synthetic leather, which makes the gloves durable and tough. These gloves also have a Triple Density Foam padding that enhances shock absorption and makes the gloves firm for optimum hand protection. The Velco Enclosure is large and elastic to give the hand a perfectly secure fit. Fingers, including the thumb are very comfortable inside the glove. Easy to make a fist and open palm with it. Great for normal sized hands but not for those with big hands. Few vent holes in the palm but generally doesn’t have good ventilation. Everlast is a popular brand because of its link to boxing. Many of great boxers used their gloves and the brand’s name is often plastered all over boxing rings. Enter the Everlast Pro Style Training gloves, which are unbelievably cheap considering they are made by such a big brand. The main reason why this pair of gloves is cheap is because of the material it is made of. 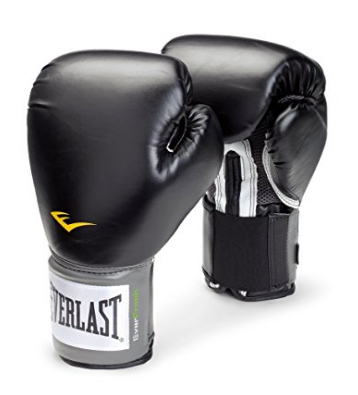 The Everlast Pro Style Training gloves are constructed from vinyl, which as we all know is synthetic leather. This means that these gloves perform well during early use but there may be issues with durability later on. On the positive side, the glove is designed to conform to the natural form of the fist for comfortable training. It has a wrap around Velco Strap to ensure fit and a thumb-lock feature to prevent injuries. Full padding on front and back of wrist helps promote the correct punching technique. Incredibly cheap, you’ll likely not going to find another paid with the same price. Has a Thumb Lock feature that positions fist correctly to avoid hand injuries. Ever Fresh feature prevents odour after a long training session. Emits ‘fuel odour’ even after several weeks’ use. Material is not the best, can wear quickly with frequent use. Poorly padded, not recommended for heavy hitting. 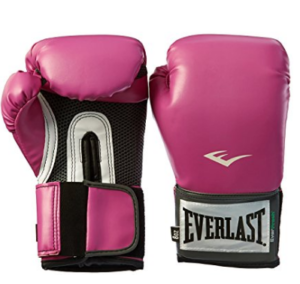 This is the female version of the Everlast Pro Style Training Gloves. Like its male counterpart, this pair of gloves is also remarkably cheap, considering it’s made by Everlast. As the description says, it’s made of premium synthetic leather. For all we know, it’s still vinyl. The gloves are constructed with a natural shape that conforms to the form of the hand. 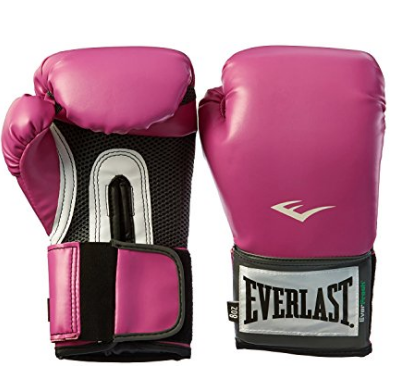 As usual, the Everlast Women’s Pro Style Training Gloves has Everlast’s patented Thumb Lock feature which keeps the thumb and the fist in correct position to prevent unwanted hand injuries while throwing punches. There’s a grip cord inside for extra gripping power. It also has Evercool mesh ventilation panels to promote breathability and Everfresh micro bacterial treatment to keep the gloves smelling fresh and without odour even after use. Ideally, it can be used for sparring, heavy bag workouts and mitt work. Given the material used though, that’s debatable. Size may be smaller than what you expect. Has the California Proposition 65 warning for hazardous material content.